How, if at all, would you like to see the U.S. health care system revised? 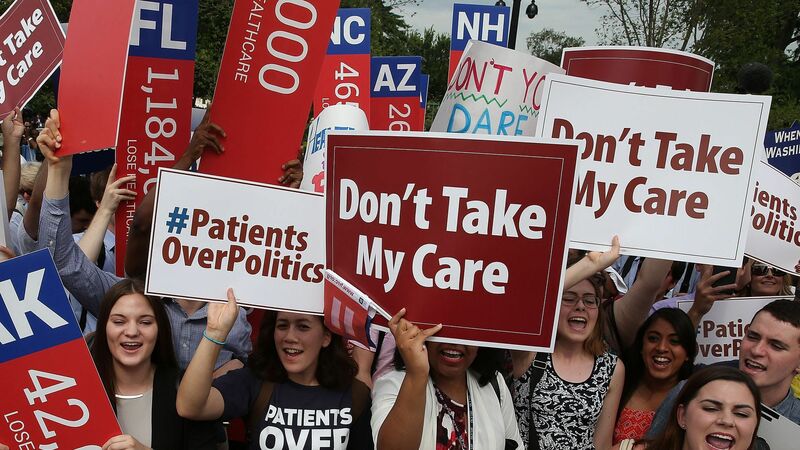 Now that federal Judge Reed O'Connor has ruled the entire Affordable Care Act is unconstitutional — since Congress zeroed out the penalty tied to the mandate to buy health insurance — the health care law once again has to show it has an extra life in its back pocket. The big picture: If O'Connor's ruling stands — or takes effect before an appeal — it would kick millions of people off of private insurance and millions more off of Medicaid, and would eliminate protections for people with pre-existing conditions. The ACA created the FDA approval pathway for a class of cheaper prescription drugs known as biosimilars, developed the database that shines light on payments that drug and device companies make to doctors, reauthorized the Indian Health Service and required calorie counts on some restaurant menus. Even under the Trump administration, Medicare is relying on parts of the ACA, like the CMS Innovation Center, to shift the health care system toward new payment models. Between the lines: This time, the knives are coming out from all sides to defend the ACA. Democratic attorneys general have vowed to appeal. Legal experts who have opposed and supported the ACA almost uniformly agree the judge's legal rationale is flawed or "indefensible." This case also has caused internal trouble at the Department of Justice. Bob got in touch with Joel McElvain, one of the three career DOJ attorneys who withdrew from this case this summer when President Trump's DOJ said it wouldn't defend the law. McElvain confirmed he resigned from the DOJ due to his objection to the agency's decision not to defend the ACA, but he declined to comment further on the case. Our thought bubble: Democrats will make the case that they are the party that protects pre-existing conditions, while Republican messaging on the case — and more broadly, their health care platform — will be muddled at best. While there may be some push to have solutions ready to go if the ACA ultimately gets struck down, the idea that a divided Congress is going to be able to agree on something like that is laughable. What's next: An appeal would go to the Fifth Circuit Court of Appeals, which is considered one of the more conservative appeals courts. If the Fifth Circuit agrees with this latest ruling, it'd be up to the Supreme Court to decide if it wants to hear the case. The bottom line: We are still a long way from the Supreme Court intervening, and the ACA is still technically the law of the land while this plays out.